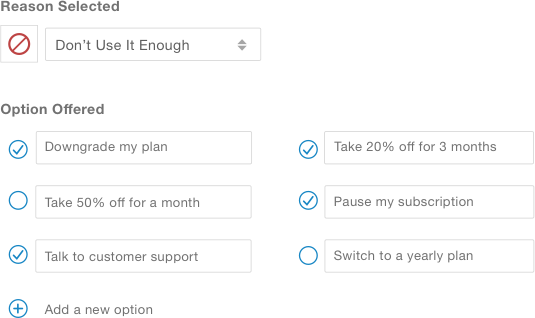 Collect feedback & save customers with retention flows. "Raaft helps us keep customers! Even when we lose a customer, we now know exactly why they left. Exit feedback has never been easy, but Raaft has made it simple to get and easy to understand." 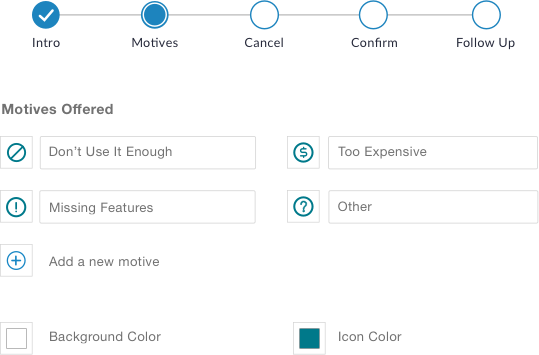 Raaft enables you to automatically extend offers to customers in your retention flow. You can even tie these offers to their motivation for leaving so you give them just what they're looking for. Churn down, retention up! Raaft makes it easy for your customer to tell you why they're leaving. 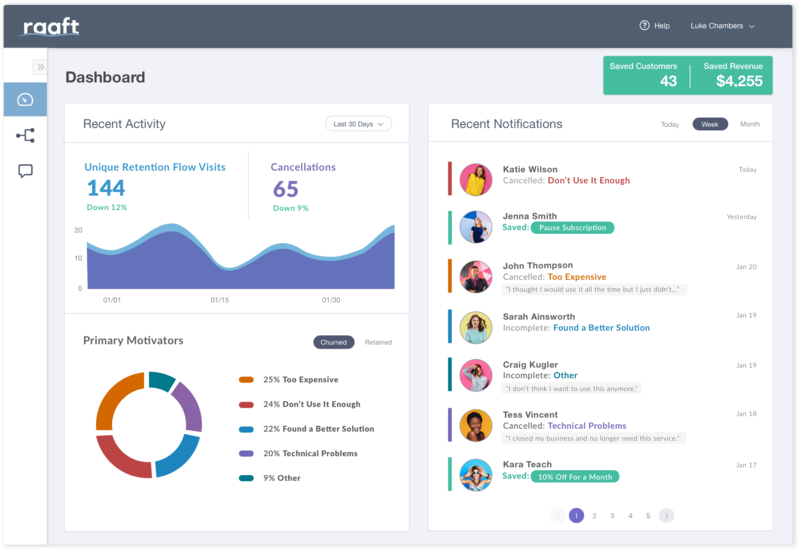 They can choose from preselected motivators that you offer as well as leave custom feedback that shows up in your dashboard. This is the data that allows you to build a better Saas product for the future. No added development time. You can build your first Raaft retention flow and have it live on your site in 15 minutes. 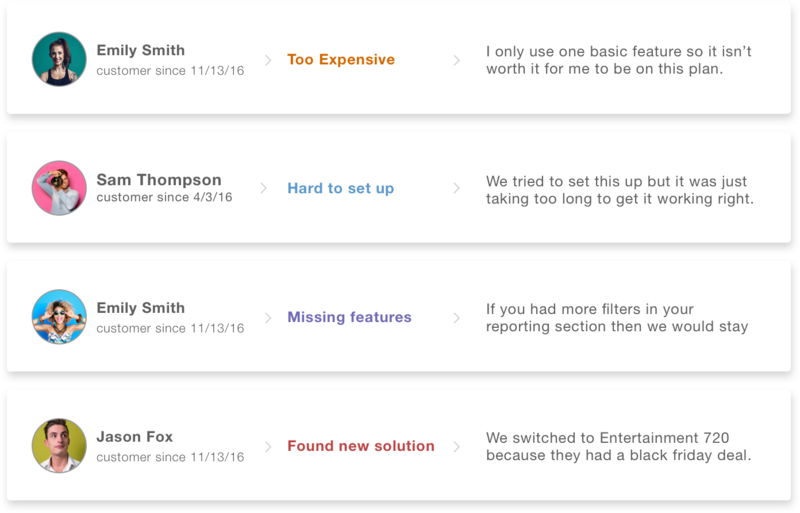 Just a few code snippets to copy over and the rest can be managed by your customer success or product management team. Raaft works with the most popular and trusted payment processors to handle your subscriptions. Raaft also has a Zapier integration so you can do exactly what you want with the data that Raaft collects. If you're interested to see if Raaft could work for you, you can with us and we'd be happy to answer all your questions and help you get set up. 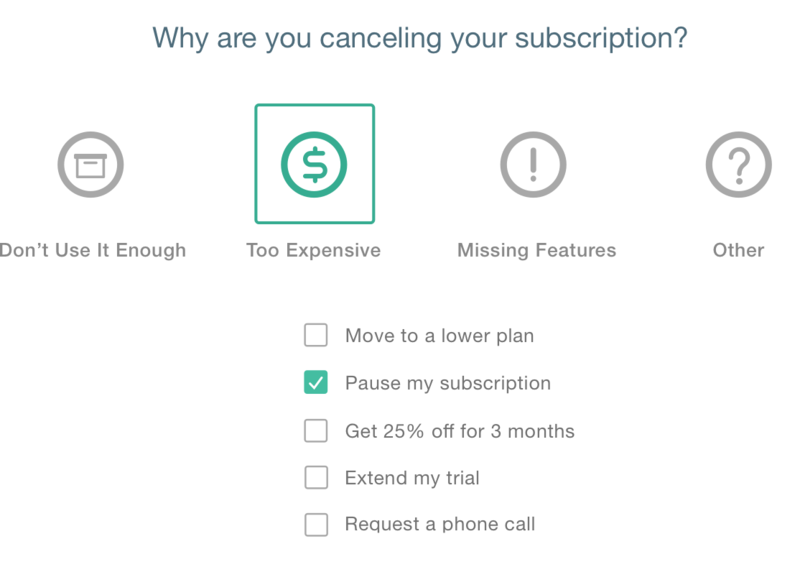 Try out the cancel button to see what your customers will experience with Raaft. 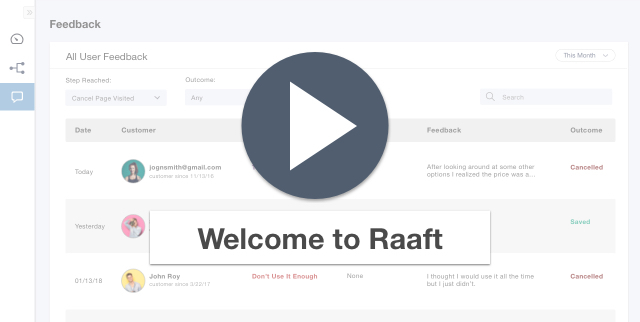 Watch our quick getting started video to see how easy it is to get Raaft up and running. If you have any questions, feel free to check out our Help Center. You can also sign up and enjoy your free 14 day trial. No credit card required.